Prosci’s unparalleled industry research helps change leaders make the right decisions every day. And helps organizations build their change capabilities. In today’s complex, evolving change landscape, to be good at managing change isn’t about how much knowledge you have—it’s about having the right information, along with solutions based on that insight. Research has been the core of Prosci’s business since our inception in 1994. 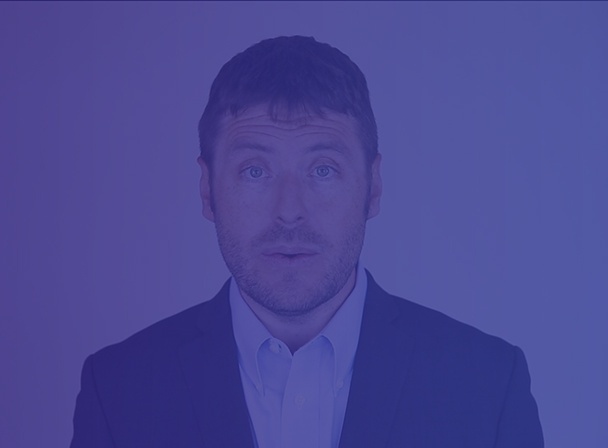 By studying what change leaders are doing that works well and what doesn’t, and how to implement change most effectively, we can derive best practices and create repeatable, scalable ways to manage the people side of change. We’re here to help you build your change capabilities. Our intensive industry research equips us to develop a solution portfolio that year after year, helps organizations change effectively. It’s why we’re at the forefront of the change management discipline. We stay connected with change leaders around the globe—on your challenges, your aspirations, what gets you up in the morning, what keeps you up at night. And what you need for success. From there we conduct research. And more research. We don’t just ask one person about a big mistake a sponsor made. We ask 1,700 people about the biggest mistakes their sponsors made. We learn from practitioners and change leaders around the globe and synthesize these best practices into actionable insights through our tools, methodologies and programs. We take what’s already complex—human beings and change—and bring elegantly simple solutions to you as a change practitioner so you deliver better results and outcomes. Our offerings empower you with the change management capabilities that help you reach your goals—whether you’re working on advancing your career or you have organizational change responsibility. For individual studies, Prosci’s research team establishes questions that address both broad and specific concepts in change management—including current trends and recent innovations—to uncover real-world experiences and best practices. To solicit participation in our studies, Prosci leverages thousands of online media outlets plus engages directly with 90,000 members of Prosci’s Change Management Learning Center. Responses are submitted electronically to a secure database. Prosci’s research analysts evaluate the responses, which in our most recent study consisted of more than 400,000 cells of data from 3,000 participants. Our analysts use statistical calculations to draw findings from quantitative data, plus apply pattern analysis to the qualitative data to identify trends. All top findings are reported through concise summaries. We compiled our most recent research findings, along with the data from Prosci’s previous studies, into the compendium report, Best Practices in Change Management – 2018 Edition. 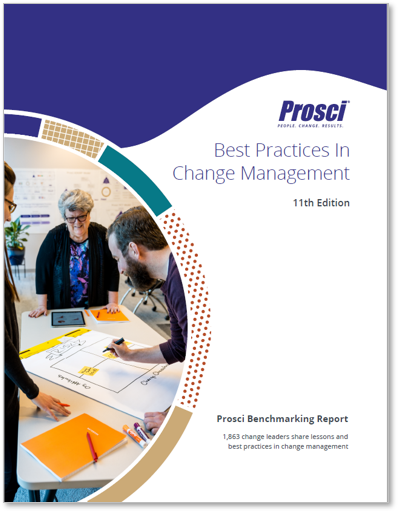 Since 1998, Prosci has conducted 10 benchmarking studies to uncover best practices in the field of change management and publish the findings to put the experience of thousands of practitioners at your fingertips. Tim has led Prosci’s research efforts for over a decade. His work forms the foundation of the largest body of knowledge on change management in the world. Prosci’s models, tools and training programs are derived from 20 years of best practice research and published findings to give you access to the experience of thousands of practitioners.